Spam is one of those controversial foods that people either really love or really hate, and there aren’t too many people who fall somewhere in between the two. Gaining popularity (and notoriety) after its widespread use in WWII, due to its being affordable and shelf-stable, spam inundated homes and mealtimes and acquired an almost cult-like following. Said following hasn’t really held up over the years, but we’re here with this tasty side dish to serve as a reminder it can still be really yummy! We decided to swap spam in for the usual pork or chicken in a classic fried rice. 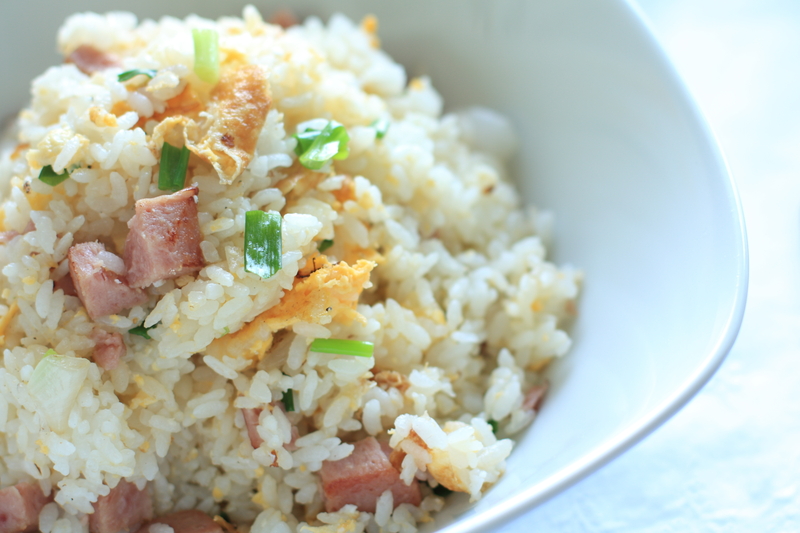 Spam is really salty on its own, so it pairs well with the mild rice (just don’t go overboard with soy sauce) and the result is something even more flavorful and well-rounded than the dish you know and love…we love it! Heat sesame oil in a large pan or skillet (or wok) over medium-high heat until hot, then add spam and sear until browned on all sides. Push the spam to the edges of the pan and pour in beaten eggs. Cook, stirring frequently, until scrambled. Transfer spam and egg mixture to a separate bowl and add rice to skillet. Cook without moving for 3-5 minutes, or until crispy. Mix in soy sauce and ginger powder, then return spam and eggs to skillet and stir everything together. Cook for another 1-2 minutes, or until everything is heated through, then serve hot and enjoy!